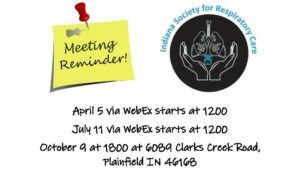 Indiana Society for Respiratory Care – Page 5 – "The mission of the Indiana Society for Respiratory Care is to provide proactive leadership in the delivery of Respiratory Care and to promote professionalism among Respiratory Care Practitioners." Attention All ISRC Members! We are closing in on Election time! Beginning August 4, 2018, the electronic ballot will be available to elect new members of your ISRC Board of Directors. 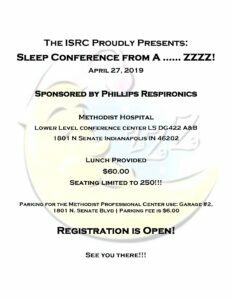 The ISRC Program Committee is pleased to present the 2018 Respiratory Care Conference in the Muncie’s Horizon Convention Center on September 13 and 14. We are expecting 300 attendees from Indiana and surrounding areas. by John T Murphy, MS, RRT Many ISRC functions are staffed by volunteers each year. We have not encountered the need for a tablecloth until now and we have 2 for use with ISRC functions. Recently, the approval was sought and obtained to have these made for us.